Mark Schulman is coming to Columbus Percussion to give a drum clinic on Thursday August 4th, 2011 at 8pm. Tickets are $5 and are on sale in store and over the phone. Read on for more information. 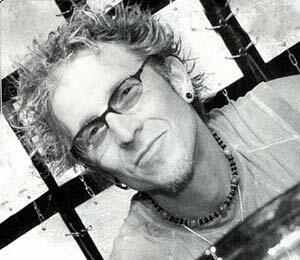 Mark Schulman has toured with Billy Idol, Pink, Cher and Foreigner. He is prominently featured in the VH1 Storytellers with Billy Idol. He is currently touring with Stevie Nicks and Sheryl Crow doing venues in the states. Mark is writing and producing all kinds of music. He has at least one song slated for Cher’s next record. Mark is also the musical director of a celebrity based music television series currently in development. He began his professional speaking career with his first drum clinic at a music school in Seattle in 1991. Mark has preformed his interactive master drumming presentations on every continent to countless drummers and musicians of all levels. He is the first ‘clinician’ to use interactive video combining wicked drumming performances with strategic motivational techniques and success coaching to provide a ‘one-man show’ presentation that is unprecedented. Be sure to stop in August 4th at 8pm to check out his clinic. We’ve stopped shipping tickets online but they are still available online and in the store. You can reach us at (614) 885-7372 or (800) 775-7372.